This is an interactive 360° story, so you can move the image. Use your smartphone or computer cursor to find key pieces of information. Click on the hotspot icon to go to a different scene and make sure you have the audio switched on to make the most of your tour. If the story doesn't load, click here. It is the place to be in the French capital this spring — Paris Art Fair 2019, the event recognised as a leading hub for modern and contemporary art. 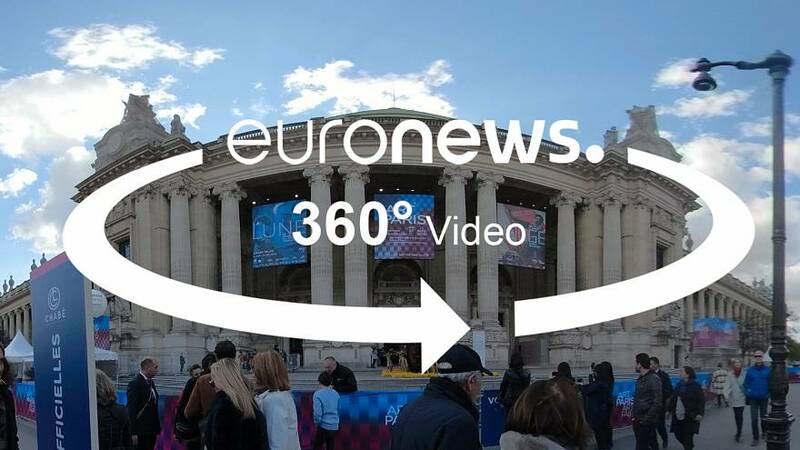 In this 360° report, stroll around the Parisian art fair in the majestic Grand Palais – the "monument dedicated by the Republic to the glory of French art". A total of 150 exhibitors from 20 countries gathered under the magnificent 100-year-old glass cupola to show European art from the post-war years to the present day, with Latin American art in the spotlight this year, along with the work of French female artists.